With Halloween right around the corner, you may be itching to find something spooky to do. That might mean watching scary movies or visiting haunted houses, but why not kick things up a few frightening notches and book yourself a haunted hotel room? Yes, there are hotels and specific hotel rooms, purported to be haunted, that you can actually stay in. Curious? 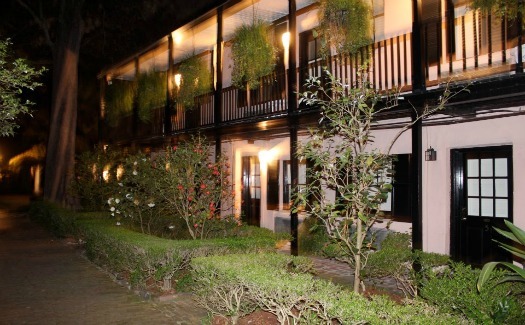 Here are 10 ghostly hotels where you can spend the night – if you dare. The Stanley Hotel is over 100 years old and boasts a stunning location and beautiful architecture, but that’s not all it’s known for. Anyone who has read or seen the movie version of Stephen King’s “The Shining” knows just how scary that story is. If you’re curious as to what could have inspired such a spine-tingling tale, you might want to pay a visit to the Stanley Hotel. Rumour has it that King stayed in room 217 back in 1974 on a night when the hotel was nearly deserted as the property was just about to close for the winter. Though the entire hotel is known for paranormal occurrences, room 217 seems to see the most ghostly action. 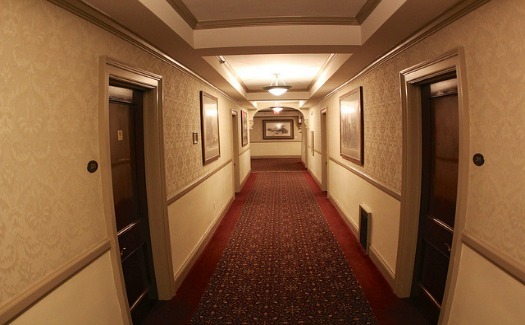 According to the hotel’s history, countless guests have seen and heard strange things like lights turning on and off, doors opening and closing, strange laughter and footsteps, drafts and unexplained chills. One of Savannah’s oldest hotels is also one of its best reviewed by travellers, lauded in part for its wine and cheese happy hour that often includes a lesson in the history of the town and the hotel. 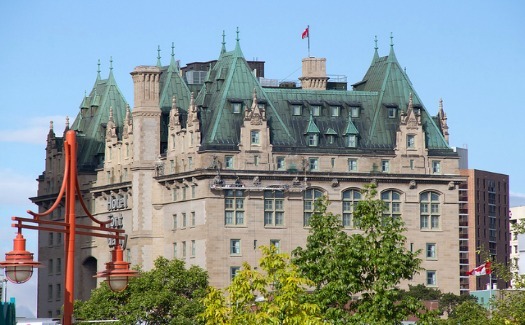 Tied to the hotel’s long and storied past are the rumours about its haunted present, though the hotel’s website assures potential guests that their ghosts are of the friendly variety. Wondering where these paranormal presences might have come from? Since opening in 1851, the hotel has been used as a hospital three times, which could have contributed to any ghostly inhabitants. 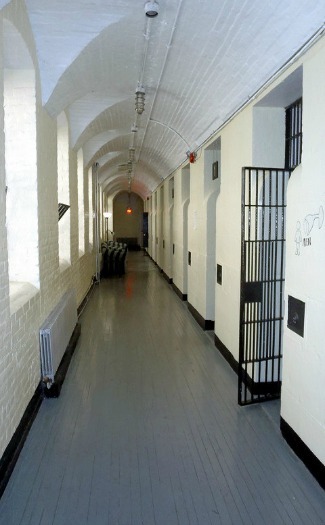 Guests have reported seeing ghosts in the hallways, as well as things like taps turning on by themselves and the sound of children running in the halls. 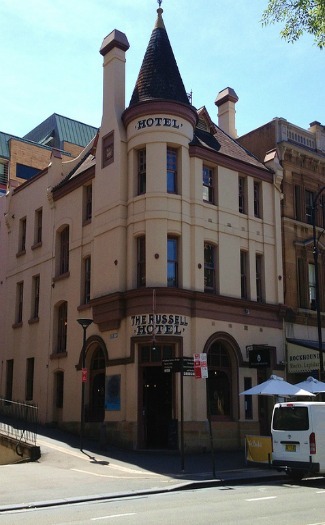 Russell Hotel is located in The Rocks, the oldest area of Sydney and one of the most convenient for checking out many of the city’s best known attractions. 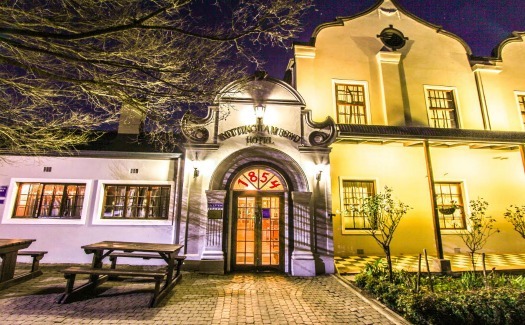 The boutique property also has a reputation for being haunted, thanks to the area’s storied and somewhat seedy past. Now a favourite location among visitors to Sydney, The Rocks was once known as a crime-filled area that attracted some shady characters, as well as sailors looking for adventure in port (with many getting more than they bargained for once they found themselves in the neighbourhood’s dark alleys). One such seafarer is said to haunt the halls of the Russell Hotel, taking particular interest in room 8. Some guests have reported waking to find him staring at them from the foot of the bed. 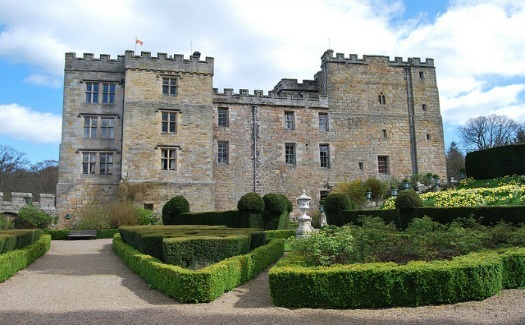 If you’ve ever wanted to stay in a haunted medieval castle, you can get your chance in Chillingham, England. Given that Chillingham Castle dates back to 1344, when it was fully fortified, it’s no surprise that ghosts are part of its history. There are ghost tours available for anyone interested in getting to know more about the castle’s past and just what kind of presences might be waiting in the shadows. Some spooky sightings or happenings include a ghost in the pantry, voices in the chapel, ghosts in the courtyard and a ghostly presence in the torture chamber (go figure). For an especially chilling experience, stay in the Pink Room, said to be favoured by a ghost known as the “blue boy”. Guests of the room have reported flashes of blue light and loud, wailing noises. 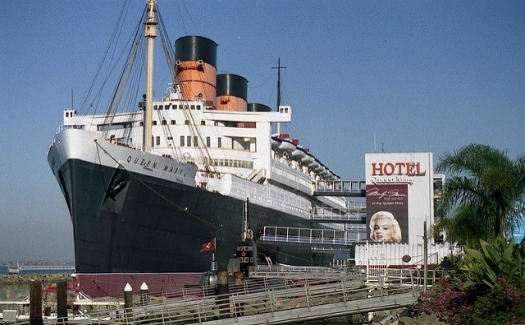 Does the thought of staying on a haunted ocean liner sound intriguing? If so, book yourself a stay at the Queen Mary Hotel in Long Beach, California. The floating hotel is known for its history, its amenities and unique accommodations, but it’s equally known for its paranormal activity. On board, you might find yourself face-to-face with such ghosts as a sailor who died in the ship’s engine room, a “lady in white” and children who drowned in the ship’s pool. Book one of the ship’s tours to learn more or check in to a stateroom for your own research. Would you stay in a haunted hotel? Let us know in the comments or on Twitter.